Stoddart is one of the few chemists of the past quarter of a century to have created a new field of chemistry - namely, one in which the mechanical bond is a pre-eminent feature of molecular compounds. He has pioneered the development of the use of molecular recognition and self-assembly processes in template-directed protocols for the syntheses of two-state mechanically interlocked molecules (MIMs). These MIMs, in the form of bistable catenanes and rotaxanes, have been employed as artificial molecular switches (AMSs) in the fabrication of molecular electronic devices (MEDs) and nanoelectromechanical systems (NEMS) including mechanized mesoporous silica nanoparticles (MMSNPs) for use as drug delivery systems. Stoddart and his research group are grappling presently with several fundamental challenges: none are more challenging than one of the contemporary goals of nanoscience - namely, the development and fabrication of mechanical devices powered by AMMs. 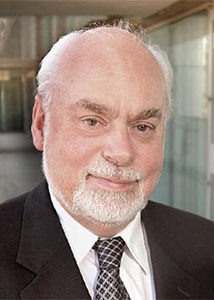 Before the goal can be realized, however, Stoddart and his collaborators have to learn how to control the coupling and uncoupling to the environment if the individual molecules into organized, hierarchical assemblies that can perform significant work on their immediate environment at nano-, micro-, and macroscopic levels. Assembling and controlling synergistically AMMs housed in highly interactive and robust architectural domains, such as metal?organic frameworks (MOFs) heralds a game-changer for chemical synthesis and a defining moment for nanofabrication.